UFO SIGHTINGS DAILY: Antartica Expedition Find Meteorites To Help Answer Questions About Solar System Evolution, UFO Sighting News. 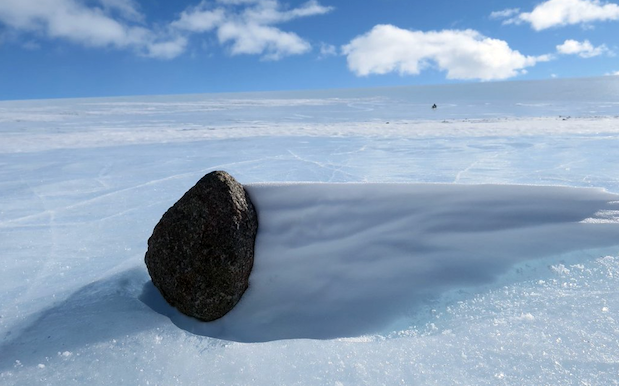 Antartica Expedition Find Meteorites To Help Answer Questions About Solar System Evolution, UFO Sighting News. Who hasn't dreamed about this? Walking along, and finding a hand size meter right there on top of the snow. Traveling from across the universe, over the course of billions of years. Some of these meteorites may actually be ancient alien tech, and some even contain the rare element 115, which Bob Lazar said was so powerful, a coin size piece would power a alien disk for 30+ years. Such a meteor has been found twice, both in Africa and both disappeared from the Internet within weeks. Also many rocky meteorites have been found to contain ancient signs of early life fossils. A team of eight scientists spent two-months in the frozen landscape of Antarctica as part of the Antarctic Search for Meteorites (ANSMET), a 40-year program that has helped reveal information about asteroids, other bodies of our solar system and the red planet which will assist NASA on its Journey to Mars. 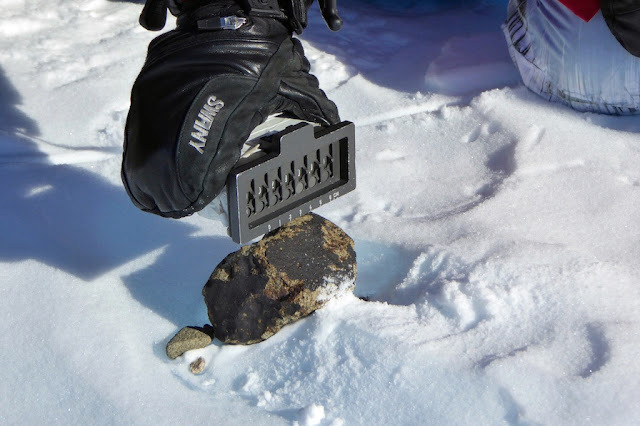 The team recovered nearly 570 new meteorite samples from the Miller Range of the Trans-Antarctic Mountains during the expedition. Samples recovered from recent seasons include rare and scientifically valuable pieces of Mars and Moon, as well as rocks formed very early during the formation and evolution of the solar system that hold clues to the origin of volatiles, planets and the organic compounds essential to life. The meteorites collected give us important clues about the early solar system, but even the thousands of meteorites recovered over the years represent a tiny part of the larger puzzle, including a find in the 1990s that produced evidence that sparked a vigorous debate about whether life could have existed on Mars more than 3.6 billion years ago. Meteorites are currently the only way to acquire samples from Mars as well as new samples of the moon that are different from – and originated far from – the Apollo landing sites, as well as a variety of asteroid bodies.